Matt focuses on estate planning, business owner planning, insurance analysis, and investment management programs. Beginning his career in 1985, Matt is a CERTIFIED FINANCIAL PLANNER™, a Chartered Financial Consultant, and a Chartered Life Underwriter, Registered Health Underwriter and Life Underwriter Training Consultant. He is licensed as a registered representative of Sigma Financial Corporation in Ohio, Michigan, Indiana, Florida, and Arizona. He is licensed as an investment advisor representative of Sigma Planning Corporation in these states along with Colorado, Washington, Tennessee, Illinois, New York, Alaska and Virginia. Matt is a past president of the local Society of Financial Service Professionals (SFSP) and the National Association of Insurance and Financial Advisors (NAIFA). He is also a member of the Toledo Estate Planning Council. 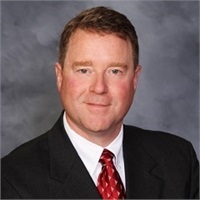 He holds a Bachelor of Science degree in International Business from Bowling Green State University where he has taught as an adjunct professor in the Finance Department. Matt is active on a number of non-profit boards and civic organizations. He and his wife, Jane, live in Morenci, Michigan where she teaches 5th grade. Matt, along with his brother, farm 261 acres of corn and soybeans in Northwest Ohio.